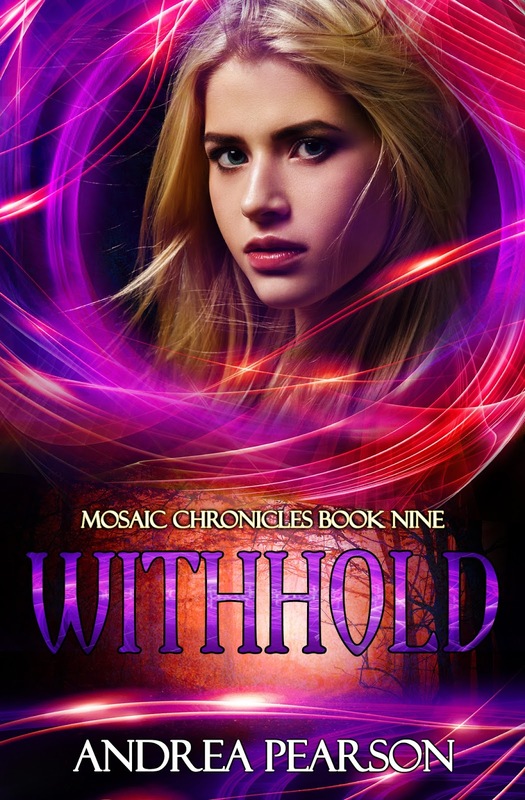 Goddess Fish Promotions is organizing a Virtual Book Blast Tour for Withhold, Mosaic Chronicles Book Nine by Andrea Pearson, a Fantasy available July 18, 2017. The Book Blast Tour will take place on Tuesday, July 18, 2017. This tour will not include interviews or guest blogs; however, a blurb, excerpt and author bio will be provided to every host for inclusion on their blog. No reviews requested for this tour.